This is the year the Irish take Texas. Weve been officially declared the number one destination for US foreign direct investment, and our PM (we call him Taoiseach) is giving a speech this year about how Dublin is the centre of the online world – possibly to the befuddlement of our national media. Dont worry, Enda, youll prove them wrong! If you’re actually Irish, however, and this is your first time doing SXSW, you likely have ten tabs open offering a survival guide to SXSW already – most of them heavy on the thought leadership and mouth-watering macro images of breakfast burritos. Ignore all that. This is your one-stop guide to being Irish at SXSW. If stuck, follow these guidelines, ask a local for directions, always remember to be polite and maybe dont wear a stetson – though we think the one we gave Enda, above, looks rather fetching. Just saying. The rumours are true: theres nothing but goodwill for Irish people in Texas, and being Irish will get you through doors, into parties, and procure all the free alcohol you can stomach. Dont let the side down: youre representing us abroad! Show up to panels by your fellow Irish people, tweet, share and spread the love. Starting with Endas keynote speech  whether or not you agree with what he says, its going to be the one people talk about. Its on Sunday March 15 at 12.30 at Ballroom F, Austin Convention Centre. A few others you must see include the panels Minimal Viable Pub: How to Open a Pub on 5000, and Why Ireland is Cranking Out Great Tech Companies which will feature Mike Butcher of TechCrunch alongside the CEOs of homegrown startups Soundwave and Tapastreet. Oh and the parties, of course. Go to all the parties. Party till your batteries burn out, you lose your friends and make new ones, and you eventually turn up in a bicycle-pulled rickshaw somewhere in the Austin suburbs at 5am – this might have happened to me the year I went. A few friendly places to start include The Ireland at SXSW Party and daytime events The Full Irish Breakfast and Breakfast and Business with #IrelandSXSW. The trade show exhibition part of SXSW is a little terrifying  its tempting to avoid the main hall altogether, unless youve actually paid to have a stand there. Slightly creepy life-size animal mascots crowd the halls. Startups pounce on bystanders, pitching and plying you with free keyrings and t-shirts and breakfast burritos. 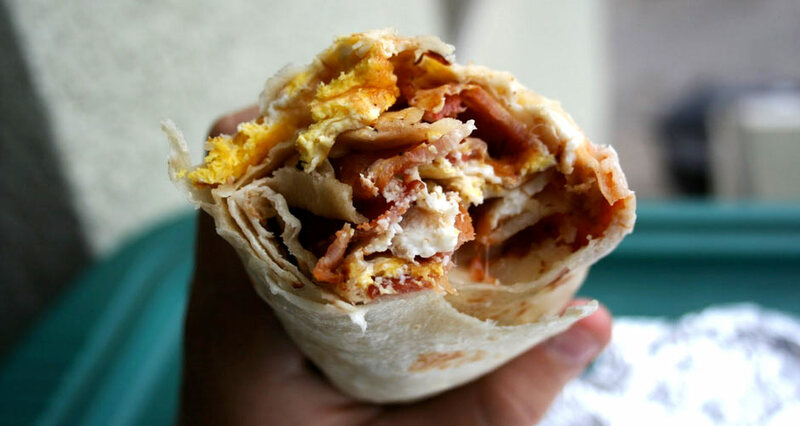 Take the loot and leave the burritos, unless greasy refrozen egg mush is your thing. Niamh Bushnell Well, were bound to be a little biased towards our patron, Dublins Commissioner for Startups! Niamh will be with the Enterprise Ireland team during their VC office hours residency at the Hilton Downtown  well worth the RSVP. Jim Carroll Of course youre following Jim Carroll already for his music advice, Banter events and Irish Times writing. But every year Carrolls Twitter feed becomes a hub of SXSW tips, observations and endorsements on who to see and what to dodefinitely worth checking in on. If youre fortunate enough to be staying for the music part of SXSW, which kicks off on March 17th, track down Fight Like Apes and Girl Band, to (a) support homegrown talent and (b) mosh away the stress after a week of networking overload. Theyre overrated. In fact, some of them are soggy culinary atrocities. Be highly suspicious of edible freebies  chances are youll trade your email address and/or a Twitter follow in return, and the result will greasy and disheartening. Head to any of the Tex-Mex places dotted around town instead for the freshest, most authentic, mouth-burning spicy food youll ever sample. Similarly, its not the end of the world if you dont make it to the legendary Franklin Barbecue  the line is daunting, and realistically youll miss out on other events just by standing around waiting. Head out and try as much off-beat stuff as possible: Korean taco trucks, those roving gourmet ice coffee carts, the diners, drive-ins and fast food chains out on Cameron Road with names like Long John Silvers and Whataburger. Its as Americana as it gets, and the food is remarkably yummy. Also, be sure to drop by the SouthBites mini-conference (David Chang of Momofuku is attending this year!) for a foodie break from all the tech coverage. Oh and follow @SouthbyFreeNOMS for tips about where to get freebies. Ok Im not necessarily saying you should miss these mini-sessions by up-and-comers in tech, Im just saying that if youre torn between one of these and a full-length panel thats on in another building, dont bother with Future15. Not because of any failing on the speakers parttheyre often full of fascinating ideas. But the talks only last 15 minutes, meaning youll end up sitting through other ones you have no interest in just to watch it. Hedge your bets: the full-length panels are better as something you can get really stuck into. Actress turned mogul Jessica Alba will be speaking about her Honest Company startup. Yes, itll be all the media will talk about and you were really crushed out on her that time you went to see Sin City years ago, but the queues are going to be massive. And Sin City 2 was rubbish. Is this panel really something you want to see? Go to the keynotes on the first few days, and as many panels as possible. And, though you might be tired after all that traipsing around between conference rooms, go to the parties at the end of the day. If you can, dont even bother going home in betweenif youre staying anywhere but central, once you get to your hotel its going to be all too tempting to stay there. The general pattern of SXSW behaviour is this: on days 1-3, make a dedicated effort to attend panels and party hard, then by days 4-5 you can be as shambolic and flaky as you like. The really big events all happen in the first few days. Every year Google take over a whole street and turn each building into a kind of deranged startup frat house. Which sounds slightly terrifying, except that each of location is stocked with free drinks. Get in there, seriously. Drink all the Googlehol. Drink the GoogleHouse dry. Though youre on your own finding this mythical land (the @googlesxsw official Twitter feed sadly is no more) theres no end of party trackers on Twitter to try, the best of which are @SXSWPartyList and @sxswparty. You can crash a surprising number of the music festival events if youre hanging around after SXSW Interactive is over. Similarly, youll automatically get a SXSW Film pass if youre going to Interactive, so scan through the programme and factor in a few screenings. The three festivals (Interactive, Film and Music) take over the city and its easy enough to wander into bars and venues. Last but not least: count on going awol at least some of the time. Around the third day, the hangovers get to everyone and they run so far behind their schedules they start to abandon them entirely. Heres an idea: dont feel guilty about it. If it looks boring, dont go. Make time to get out of that overly air-conditioned convention centre and see the city. Get lost in Austin. Make friends with the locals. Austin is one of the most special, most defiantly weird cities on earth and to pass a week there without properly seeing it would be a tragedy. All those survival guides and must-see lists build up a certain pressure – this piece included. Truth is, you wont make it to everything you plan to see failure is inevitable, and often turns out to be more fun.